A girl needs a bib… – Have a fun day! I like this bib. I like this bib so much, I kinda want to wear it. No, I don’t. I was just kidding about wearing it. 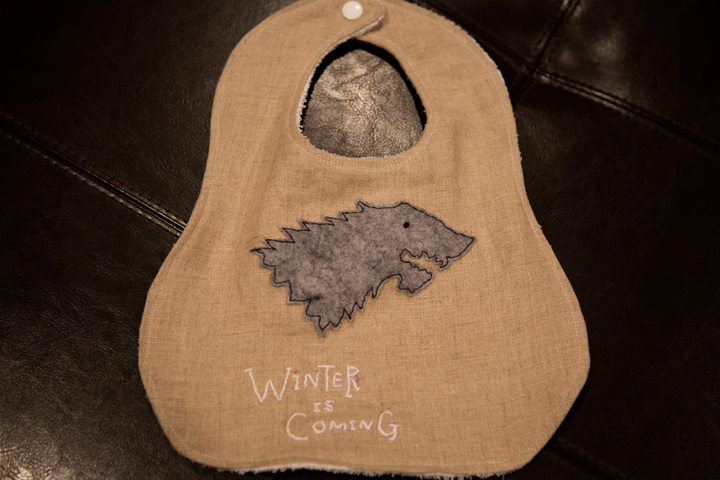 I should make an apron with a direwolf, definitely more fitting for a crazy fan who is also a housewife.